The day after Thanksgiving has traditionally been the official start of the Christmas season. However, this year November 14th served as the holiday kickoff for the music lovers of Cincinnati, OH. 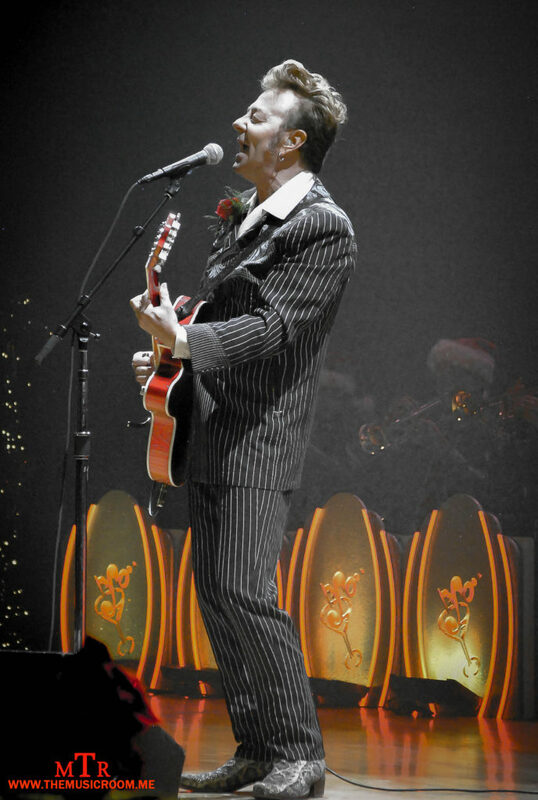 This was the night that Brian Setzer and his Orchestra brought their 14th annual Christmas tour to town. The Taft Theater was packed full of families, seniors, couples, guitar fanatics and all around music fans. While diverse in nature, the people came for one reason, to witness the spectacle of the iconic Brian Setzer and his big band. This evening was described as a “bucket list show” by more than one person during pre-show conversation in the Taft’s lobby. Setzer and his band did not disappoint. 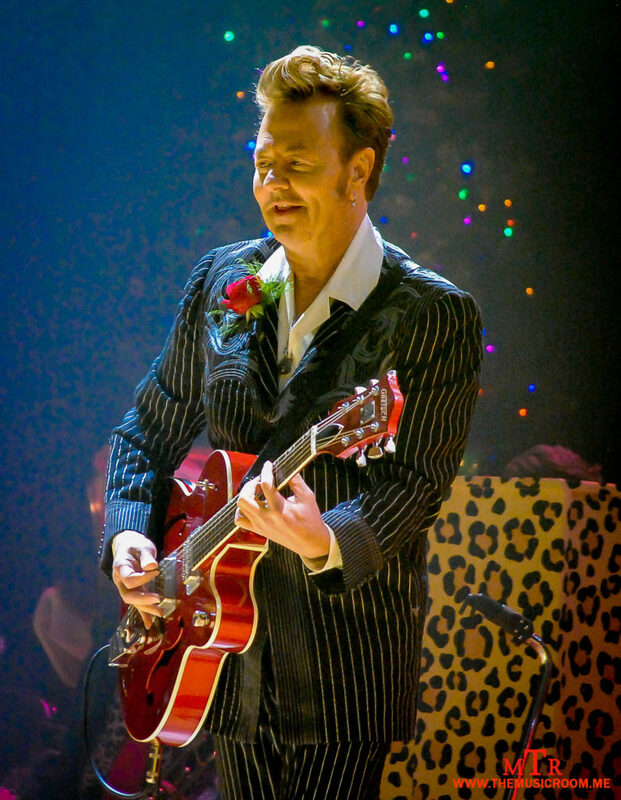 Just like Santa is known for the sack of toys that’s slung over his shoulder, Brian Setzer is just as notorious for the Gretsch guitar strapped across his. And boy can he make it sing. Throughout the ninety minute set, the Cincinnati crowd became quite skilled at the art of air guitar. And why not? Setzer was inspiring as he delivered one tasty lick after another. There are few words that can be found to describe the thing that happens between Setzer’s fingers and the fretboard of his trusty Gretsch. Some things are just better left to the ears. The Taft stage is quite large and on this night was filled with more than just one talented musician. 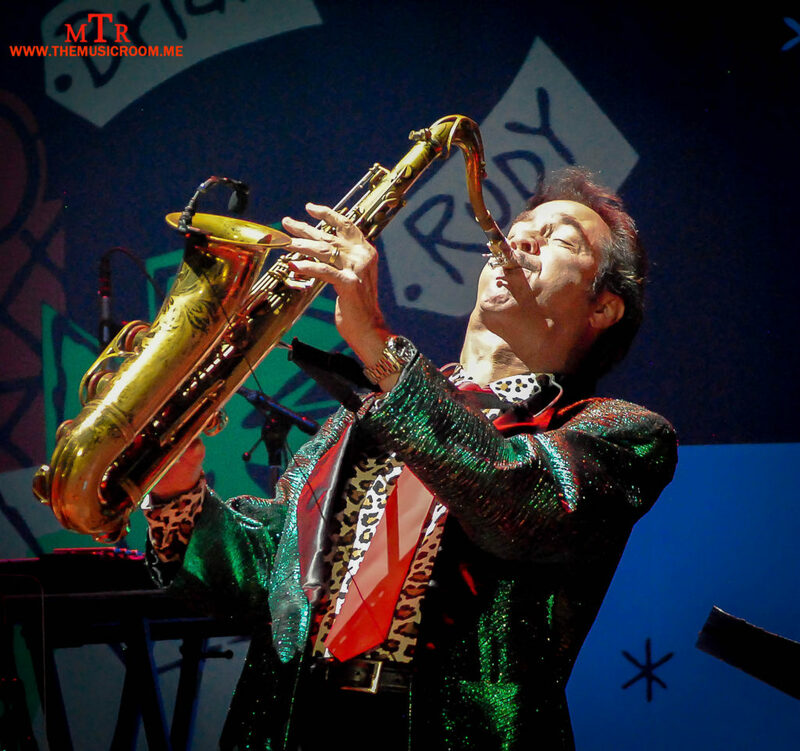 Brian Setzer was accompanied by some of the finest horn players and singers to play any stage. Throughout the night the members of the orchestra were given the spotlight to showcase their talents. The audience was treated to amazing performances on piano, saxophone, trumpet, trombone, and clarinet. The Taft Theater stage may have been decorated with holiday cheer but it was overflowing with talent. 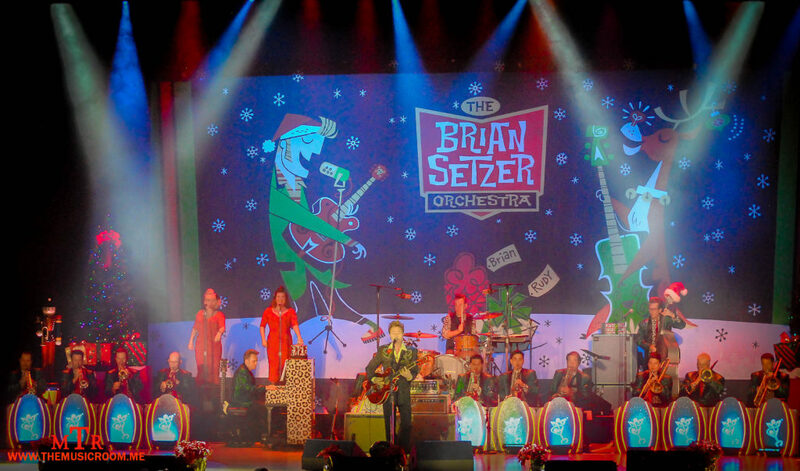 Yes, The Brian Setzer Orchestra really was the perfect kick-off to the holiday season for the Cincinnati music faithful. It is a night that people will be talking about for a long time to come. You could not help but walk out of the theater knowing you saw something really special. If you are lucky enough to be near a stop on this tour, don’t find yourself on the naughty list. Go to it! One suggestion though, if you are lucky enough to attend one of these shows, be sure to bring your dancing shoes…you are going to need them!